Sour Patch Grapes are a fun and quite surprisingly addicting little treats! Perfect for an after school snack, your kids (and you!) will love making and eating these! Any fruit flavor will do. I used Cherry and loved it! I do not usually like sour type candy, and these had a slight tart but also an instant sweet, and they are really fun! My son came home, saw them on the counter, and asked what they were. Once he tried one, he instantly took the remaining plate of them and they were gone. Rinse grapes and shake dry , but do not completely dry them off. 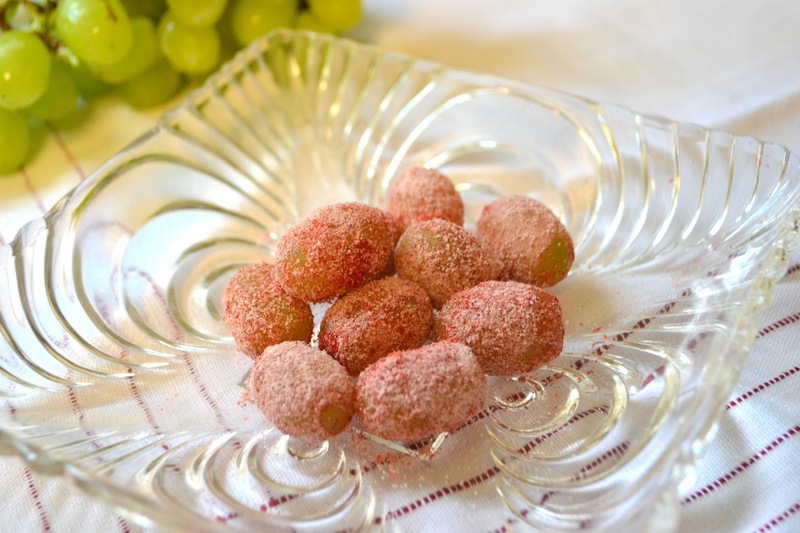 Roll slightly damp grapes (not sopping wet ones or you'll have a mess) into the powder.